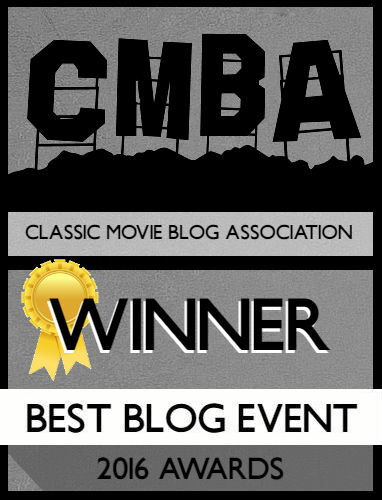 I’m a fan of author Peter Biskind and his works on film history; his books Easy Riders, Raging Bulls, Down and Dirty Pictures, and Seeing is Believing are on my bookshelf and have colored a lot of my film criticism. He’s recently turned to focusing on stars and directors starting with his comprehensive biography on Warren Beatty back in 2011. 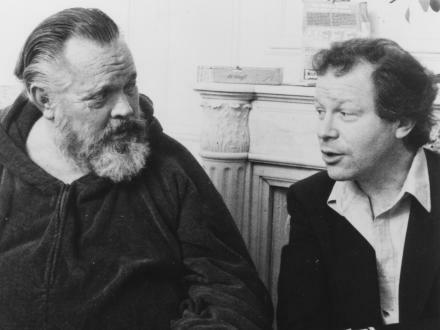 His latest is a transcription of conversations between director/actor/impresario Orson Welles and his close friend, playwright/director Henry Jaglom. Though tedious at times, this is the closest readers will get to sitting down at a lunch table with the magnanimous Welles. Biskind removes himself from the book, outside of a lengthy introduction which explores the Hollywood of Welles’ career; his time on top as the director of the “greatest film ever made,” Citizen Kane; and where he ended up later in life. The Orson the reader meets in My Lunches With Orson is tired and bitter about his perceived maltreatment in the industry. Welles’ magnum opus, The Magnificent Ambersons – famously butchered by the studio – is briefly mentioned throughout, with Welles lamenting the treatment of movies and directors. A few of his points are valid, especially his belief that movies are no longer owned by the directors or screenwriters but by the studios who can do whatever they want once the film has seen completion. A train of bitterness peppers the entire book with Welles attempts to get an adaptation of King Lear, as well as a project called The Dreamers, off the ground. For an actor/director so revered today, it’s surprising that by the 80s he was only able to secure tenuous international financing. Welles definitely comes off as an angry, at times extremely racist individual. The book exists in a vacuüm, so if you have no prior knowledge about Welles, he certainly comes off as hostile and angry; the typical angry old man. There’s little information on his personal life, probably due to his knowledge that Jaglom was recording him, but it’s hard to hear Welles discuss various actors as being too Jewish or otherwise for his work. There is a tendency for the book to present Welles as the mean-spirited jerk that’s entered popular culture, but that’s all counterbalanced by the presentation of a scared, frightened man who finds himself irrelevant in 1980s Hollywood society. What could turn off readers is the intimacy of the conversations between Jaglom and Welles. While you are getting a fly on the wall perspective, you are listening to two friends who have known each other for years, so in-jokes and past references will seem confusing and extrinsic. At times various celebrities of the time like Jack Lemmon and Zsa Zsa Gabor arrive to pay homage, but it can feel like a celebrity cameo resulting in a “hi” and “bye.” Biskind explains in the introduction about his inserting of background information where necessary, and at times you will see information in brackets or with an asterisk on the page bottom. However, there are certain times where it comes off like Jaglom is Biskind, mentioning “Oh, [insert name] that guy who did this?” It doesn’t always come off like a friend talking to another friend, but a friend talking with an author inserting applicable background data. Again, I’m unsure if that’s the intent, but there definitely is an air of suspicion about how much liberty was taken with adding information. My Lunches With Orson is an intriguing, unique presentation of a time period in Orson Welles’ history that’s never had such a first-hand perspective. The use of transcription gives the book a snappy, breezy tone as it’s all conversation, although you do wonder how involved Biskind is in presenting his facts. The relationship between Jaglom and Welles was certainly intense, although you can feel outside the clique at times.